The first piece was very “meh”, the second piece was incredible, and the third almost ruined the night. The second piece was worth the price of the ticket tripled, unto itself! So amazing. September 18, 2014 — From Houston to the World is a brief, skimming preview of all of the possibilities that the Houston Ballet has to offer. It is comprised of three distinct pieces, of varying appeal and depth, ranging from a glossed over, old fashioned bore, to a piece so poignant and light that you pleasantly drift away and forget yourself for its duration. The first piece, enigmatically titled ONE/end/ONE is a modern choreography by Jorma Elo, stuffed into a traditional tutu. Furthering the traditional agenda is the very classical Mozart Violin Concerto No. 4, a spritely lilt that, in itself, is a delight but not particularly engaging. 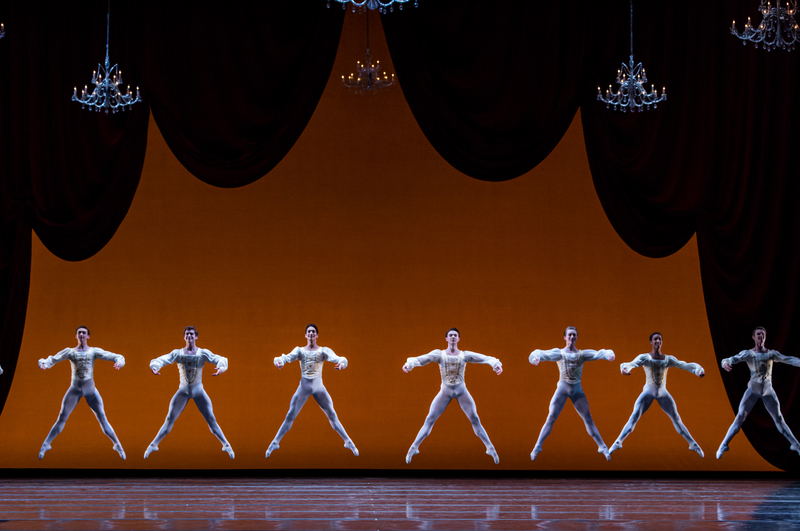 The choreography is often synchronized, or mirrored, which engages the viewer and gives a great texture to the overall performance as it trickles towards the back of the stage. 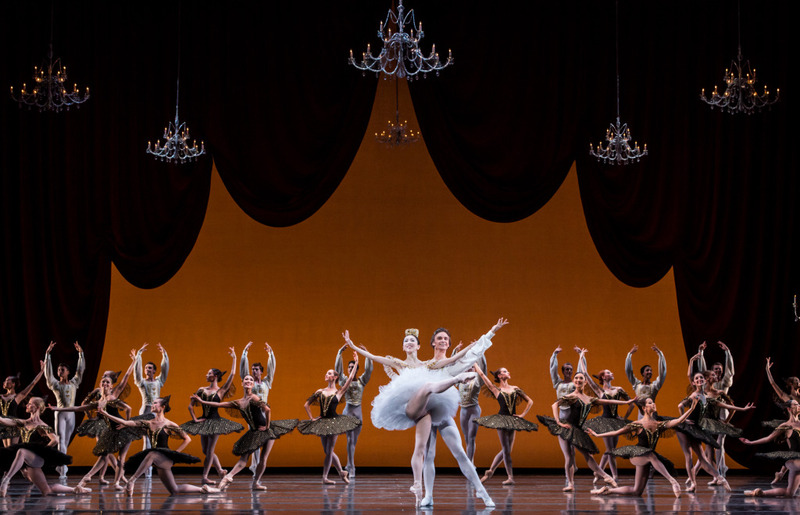 Principals Karina Gonzalez and Connor Walsh dance an energetic, precise pas de deux, in addition to other excellent solos, but the pace of the music is just a little too chipper to be taken seriously even as it transitions into a slower second movement. The piece involves a lot of acrobatics and lifts and lifted acrobatics and perhaps even a lifted twirl, which are all very impressive but not particularly moving. At some points the dancers are ever so slightly out of sync or the choreography betrays their various bodily proportions, which lend the effect of a crack in the whole. It was fun, yes, but not fantastic. The second piece, titled Mummuration, is something else entirely. It is a piece so engaging and different and modern, I am afraid that using words to describe it would do it an injustice for lack of appropriate value. It like a well composed jazz song– the choreographer, Edwaard Liang, gives you exactly what you want even though you didn’t know what you wanted to begin with, a floating arc of longing and fulfillment. From the first few notes of the piece the audience is owned. 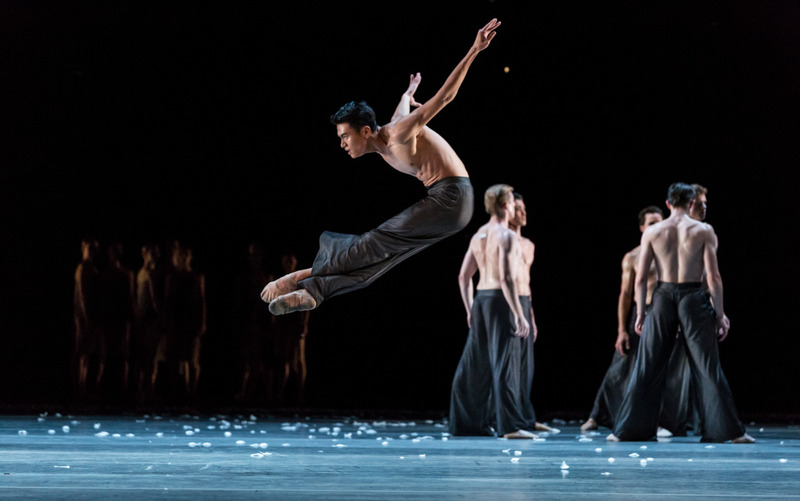 Liang knows how the music wants to move the dancers, and how the dancers want to move their bodies to deliver a feeling as opposed to a narrative. The greatest joy of the night was seeing that the dancers feel it, too. There were moments between Karina and Connor that utterly flowed, and I have no doubt, I was only experiencing a inkling what they were. So great. It received an immediate standing ovation and I tried to be the first out my seat. So then: why. Why, Houston Ballet, did you finish off with Paquita. Why? There are so few things that are universally agreed upon as beautiful anymore, why would you choose to follow Mummuration with Paquita, and end the night with a stiff and boring effigy of what Russian ballet used to be in its heyday of grandeur and spectacle? Out of no fault to the dancers, Paquita is a showcase of talent and a little bit of “hey look what our dancers can do”. Yes, the dancers are amazing and they all exhibit the utmost proficiency in classic technique, but you rudely woke me up from the most pleasant dream. Finally, a nod must be made to someone very special and very integral to this entire performance: the musicians. For the most part they are taken for granted, you cannot see them even when they rise to bow at the end of the evening, but the night would not be complete without them. Concertmaster Rasa Kalesnykaite plays not one, but two violin concertos back to back. In a typical virtuoso presentation, a violinist will play one and is presently exhausted. Rasa delivers a swift and nimble Mozart, before sweeping us away into Ezio Bosso’s Violin Concerto No. 1, the name behind the inspiration of Mummuration. Bravo to you as well, Rasa. Your playing was beautiful unto itself.